Saint Laurent have had a busy month of VIP dressing already, outfitting a diverse roster of A-list musicians, that rivals the most jam-packed issues of CLASH. 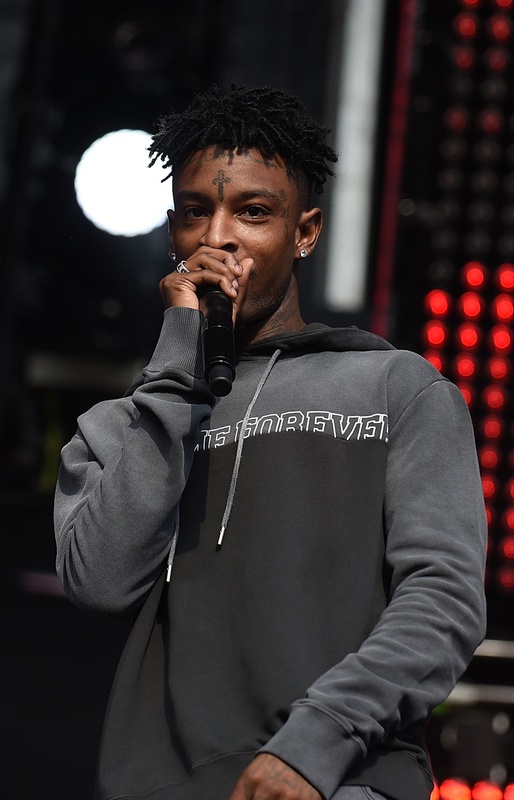 Leading the pack, 21 Savage not only chose to sport a "Love Me Forver Or Never" hoodie for his performance at Made in America Festival on September 3rd, but followed this up on the 6th, in full AW ‘17 eveningwear at the Harpers Bazaar ‘Icons by Carine Roitfeld’ event in NYC. Also in attendance, were the Weeknd and G-Eazy, who sported similar variations on the seasons stand-out tuxedo looks. Following the trend, singer-songwriter Garrett Borns, appeared at the Business of Fashion’s #BOF500 Gala on the 9th, in the AW '17 collections most attention-grabbing variation of the suited and booted aesthetic. An open fronted all-in one, that's been crying out for a rock 'n roll frontman to wear it, since it first hit the runway back in late February.